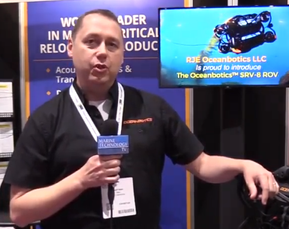 In San Diego @ Oceanology North America, the world's leading magazine to the subsea sector -- Marine Technology Reporter with a global circulation of more than 25,000 -- will debut its "Marine Technology TV" brand with a series of short, topical technical interviews on the show floor. Watch this space in the coming weeks for dozens of video interviews with executives from the world's leading subsea technology companies. If you happen to be in San Diego on February 14 or 15, 2017 and would like to schedule one of the remaining interview slots, Email Greg Trauthwein (trauthwein@marinelink.com) or Eric Haun (haun@marinelink.com).